Having used Wi-Fi “hotspots” and Internet cafes in various places during the past two years or so, it was with some anticipation that I signed up for wireless broadband on a recent vacation cruise in the Caribbean. Although one can argue that doing this violates the very idea of a vacation, one person’s recreation may be another person’s office drudgery when it comes to the Internet. My 12" iBook goes with me on all such jaunts because it is a civilized way to look at the photos that I download from my digital camera. 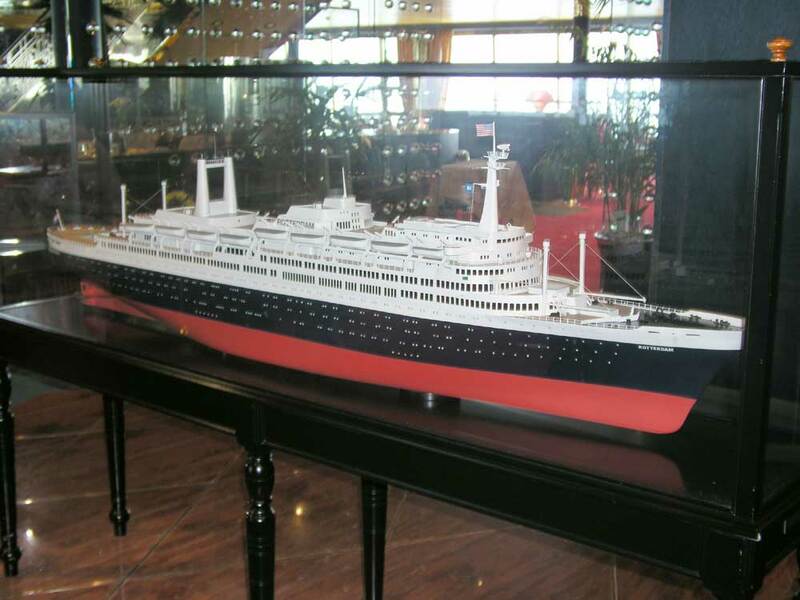 I was disappointed to learn that this particular installation, on the MS Rotterdam of the Holland-America Line, had a WAN Bandwidth of 128 kbps (128,000 bits per second). This does not qualify as “high speed” in my book. Of course about the only way for a ship in the middle of the ocean to send Internet and other traffic is via satellite. The Rotterdam’s provider was Maritime Telecommunications Network (http://www.mtnsat.com/). Figure 1 shows the antenna dome for the satellite transceiver. There were several pricing plans available ranging from 75 cents per minute to 40 cents per minute, depending on how big a block of time one purchased. The user had a choice of either wired or wireless, no mixing of the two. 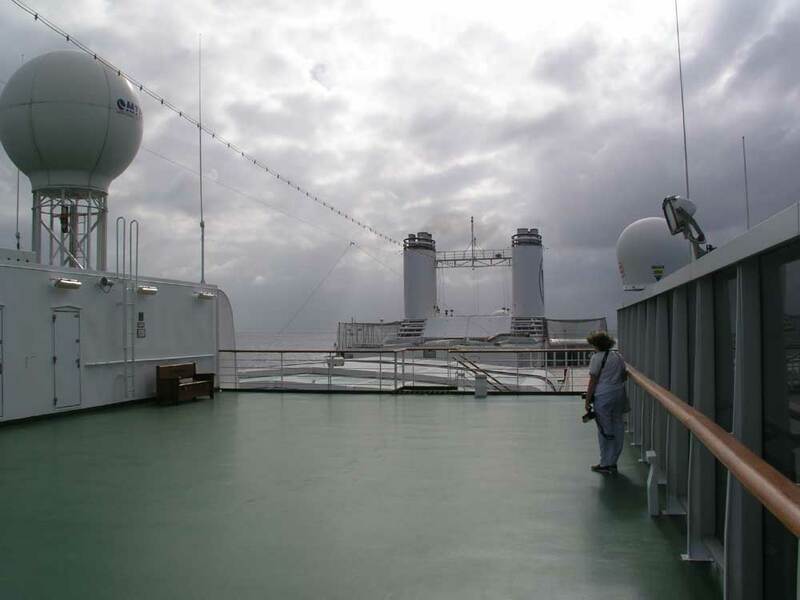 The Wi-Fi hotspot was in a part of the ship that was some distance away from the wired Internet cafe. This was a problem, as it meant that the support person had to be lured away from the Internet Cafe room when problems arose. There was one printer, which seemed to be available only to people on the wired LAN. The option of plugging a laptop into the wired LAN with an Ethernet cable was not available. The installation was quite new and the support person was not yet well trained, although she was very obliging and willing to help users with their problems. Getting launched was problematic, as the Java applet authentication scheme was poorly supported on the several Mac browsers that I was using. The usage clock ran in a popup window that was quite unreliable. The user was obliged to leave popups enabled. The authentication scheme called for the user to attempt to open a connection to the Internet via one’s browser, at which point a sign-on dialog would appear from the ISP. This is a common enough scheme for hot spots, but this one was the least robust of the several that I have used. In my first couple of sessions the connection would drop unexpectedly. On two occasions I was told that “solar flares” were interfering with satellite communication. I gave up trying to access the Pi’s TCS because the combination of latency at the Pi end and the slowness at the ship end made that too expensive. It took quite a bit of patience to work out a protocol for signing on and maintaining a connection. I made liberal use of the freeware WhatRoute program to make sure that the pipe was open and flowing smoothly. When it got stopped up I just logged off and came back later. I probably could have avoided some problems if I had synchronized the IMAP mail accounts on my laptop with those on my desktop before I boarded the ship. It took quite a while to get caught up with a couple of week’s worth of e-mail. A number of people wanted to send pictures to friends and relatives. I didn’t try this myself, but I bet there were frustrated folks when they found out that this could easily cost them $5 or $10 per session. I encountered several other Macintosh users, all of whom were using Mac OS X, but with varying degrees of sophistication. In the end my limited Internet usage worked out to about $10 per day, which was comparable to what one pays for a DSL link in one’s room in some hotels. Other users on the Rotterdam gave me anecdotal evidence that the broadband is much better implemented on other cruise ships. 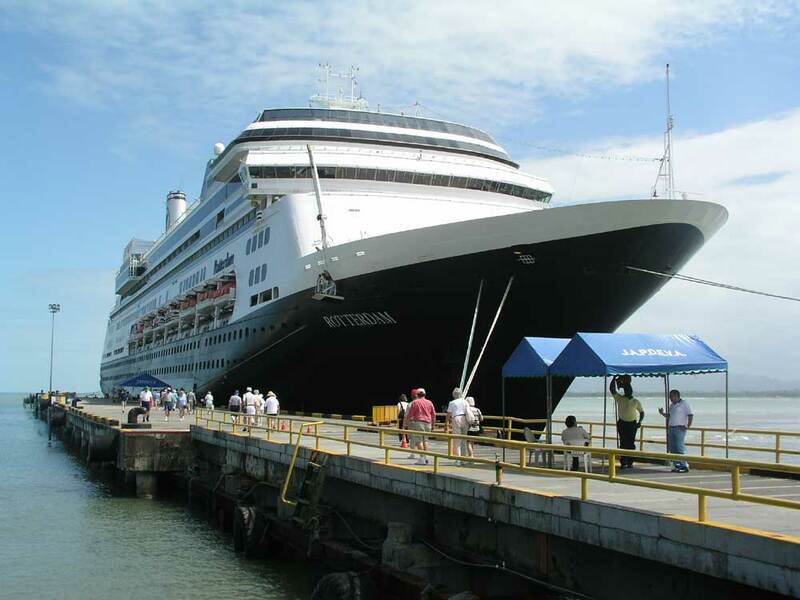 What I experienced was a big improvement over versions that I have experienced on other ships, but it is nowhere near as comfortable as the combination of T-Mobile and Starbucks or the $10 per day variety in moderate priced hotels and Internet cafes. The above observations were originally posted on the TCS message boards. Other Pi members chimed in with some relevant observations. Paul Schlosser pointed out how his ability to correspond with his children every other day while on a cruise contributed to his and his wife’s peace of mind. By limiting usage they were able to keep their tab to $20 for the whole trip. Charles Ostrofsky pointed out that Royal Caribbean and Celebrity offer a stateroom Internet hookup using a dataport on a dialup telephone on some of their ships. It is not broadband. The speed is about 38,000 bps with a lot of lost connections. Very slow. They only “officially” support Windows but since all they do is dialup using your laptop’s modem it is actually easier to connect with a Mac. The charge is $100 for a 7-day cruise. I might not have signed on this time around if I had not had my trusty Airport-equipped iBook along and if the ship had not offered Wi-Fi. I brought the iBook mainly for viewing pictures, watching DVDs, and listening to audio books. It turned out that I was able to help a couple of clients, to keep up with some Pi activities, and to touch base with family on days when the ship was at sea for the whole day. I was also able to confirm that the dining room staff had murdered the recipe for Bananas Foster. I was not able to print out my boarding passes for the flight home at the end of the cruise. I returned from a European sojourn on the maiden voyage of the Rotterdam V in 1959. That ship was 39,000 tons or so. (Figure 2) The Rotterdam VI (Figure 3) is nearly twice as big and it showed in the smoothness of the ride. If you look at the “beam” specification for cruise ships it is striking how many of them come out at 105.6 feet. I think this is controlled by the 110-foot width of the locks in the Panama Canal. I am also amazed by the fact that these eight- and nine-deck monster ships only draw 26 feet. Their stabilizer systems must be real marvels to keep them from heeling over in the slightest breeze.